A recent renewal of interest in bricks has spiked the research within the building materials industry into creating modern bricks that satisfy the needs of a contemporary architecture. Bricks have been a traditional building system for centuries, coming in shades of clay varying from region to region. 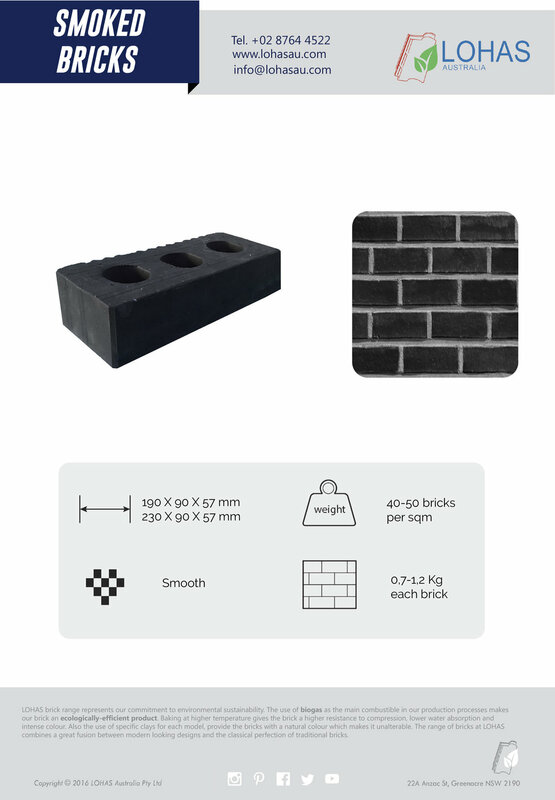 LOHAS is proud to introduce a new generation of SMOKED BRICKS that uses a 'smoking' technique that imparts unique colours throughout the brick.